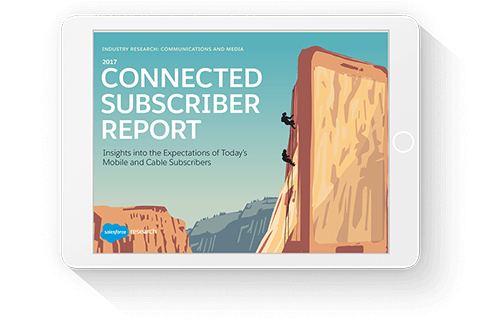 To explore the current attitudes of American mobile phone owners and cable subscribers, Salesforce Research conducted its “2017 Connected Subscriber Report.” Based on responses from more than 2,​210​ U.S. adults​, among whom 2,067 are mobile phone owners and​ 1,703 are cable subscribers, the research, conducted online by Harris Poll in February 2017, found differences in the ways that customers prefer to shop and purchase services from communications service providers (CSPs). In addition, while the research indicates that some Americans distrust their wireless and cable providers, CSPs have the opportunity to improve customer experiences by taking different approaches to their services. In fact, improving customer satisfaction and delivering new services such as over-the-top (OTT) content will become increasingly crucial as the research indicates that a growing number of Americans are interested in service providers that are shaking up the industry with streaming video and audio services, often via apps and other new business models. We asked more than 2,000 utilities customers a variety of questions about today’s experience interacting with utilities companies. Check out this full report to see what they had to say.